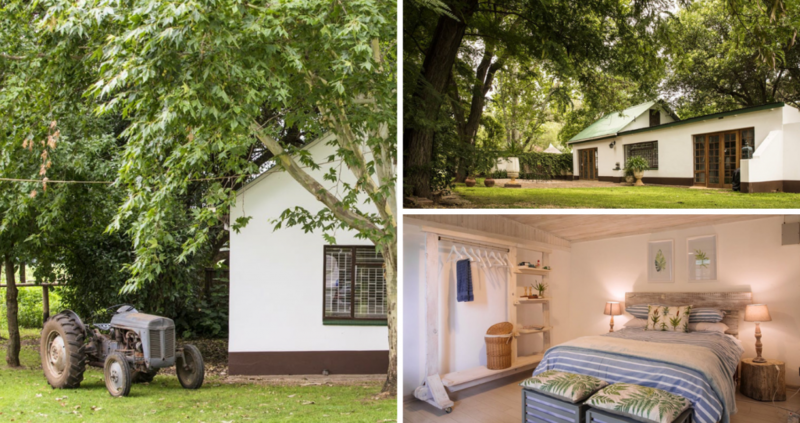 Whether you’re parents with children looking to spend some quality time together as a family, a couple in need of a tranquil escape from the city, or a group of friends wanting to get away for the weekend, a farm getaway is just what you need! Just imagine waking up to nothing but the sound of sheep bleating, roosters crowing or horses neighing in the distance ─ sounds heavenly, right? Well, look no further! 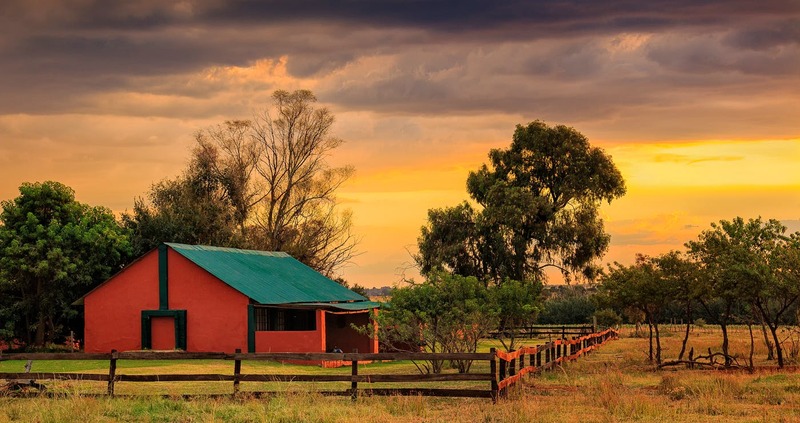 TravelGround gathered our favourite farm getaways in and around Gauteng. So, you’re in the mood for a farm getaway but don’t want to leave Bruno at home? No need to worry ─ Stone Hill will welcome you and your pets with open arms! Come stay in any of their 10 fully-equipped, self-catering timber cottages with log fireplaces. The cottages are individually fenced and at least 30 metres from each other so that your pets can play around without you having to worry. 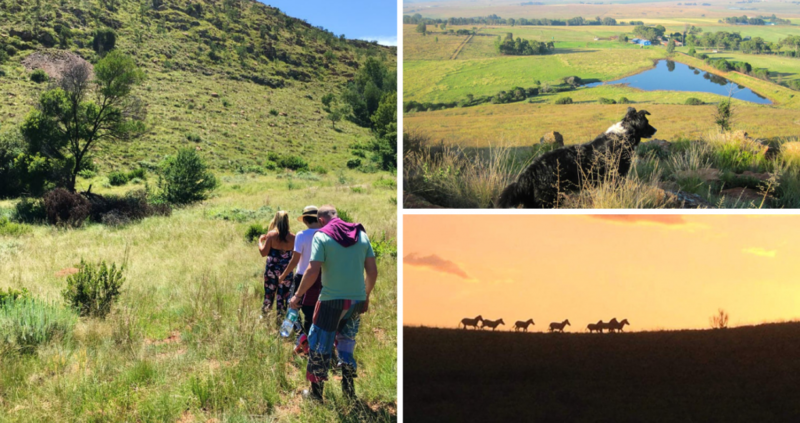 Take a stroll on the farm, bike your way up the five-kilometre trail and let your pets run and play. The dogs will love the small river where they can swim and roll around in the muddy waters ─ please make sure your pets are protected against ticks! Tip: Sparkling wine, chocolates and picnic baskets are available for romantic events, please arrange beforehand. In the mood for a farm stay but don’t want to compromise on luxury? Stornoway Lodge offers accommodation in self-catering units, ranging from glamping tents and cottages, to a farm house and luxurious suites. At this lodge there is more than enough activities for young and old! If you’re not walking around in the beautiful gardens, you can keep an eye out for the resident kingfisher around the lake, or try your hand at fishing ─ you get an award for every catfish you catch! Don’t let the little ones miss out on canoeing on the lake. Remember: They do have safety vests available for small children. But if putting your feet up is more your style, you can relax around the swimming pool and work on your tan, or enjoy a massage in the privacy of your own suite! 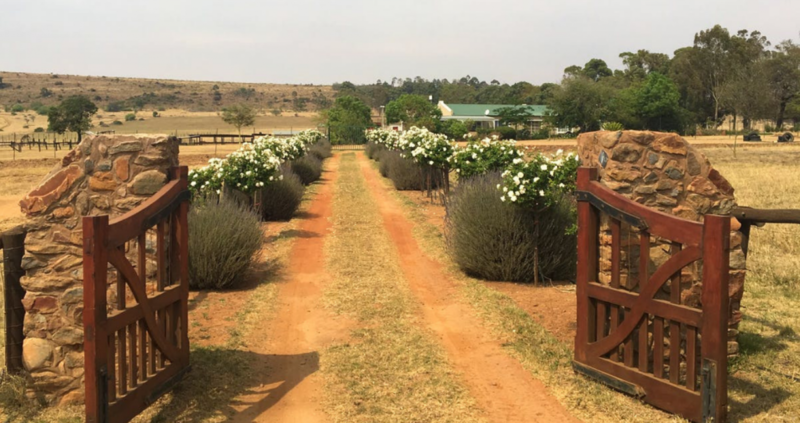 This equestrian guest farm is situated only an hour from Johannesburg, just outside the town of Magaliesburg. 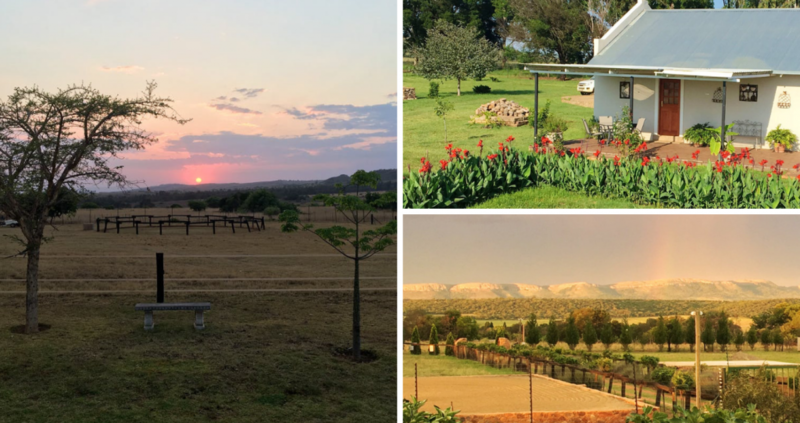 With the Magaliesberg Mountain Range as the background and excellent views over the farm, this is an ideal option for a self-catering farm stay for horseback-riding enthusiasts. Bring the kids along, they’ll love the horses, donkeys, sheep and ducks! Here, the activities include walking, hiking, mountain biking, bird watching and horseback riding ─ you can even bring your own horses on holiday and enjoy the paddocks, arena, lunging arena and lovely outrides they have to offer. Remember: A stable is available upon request. 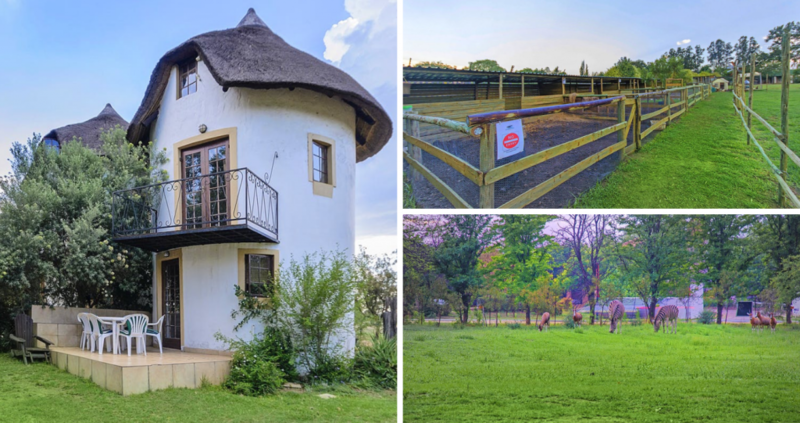 The adventure enthusiasts will love this farm in the hills of Heidelberg. 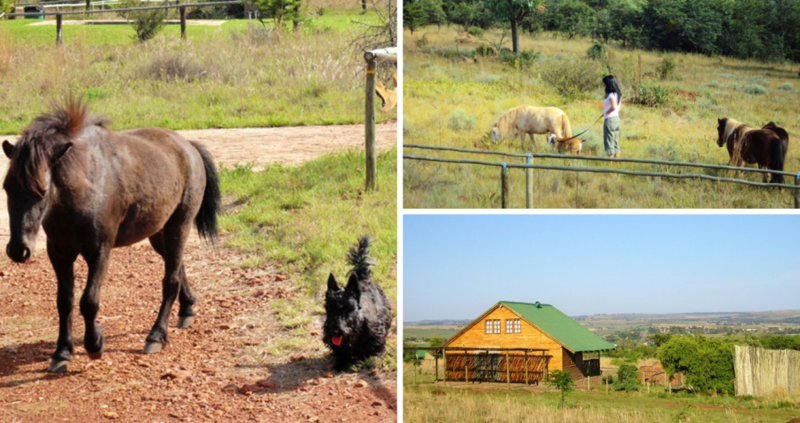 The farm is home to many horses, dogs, cats, pigs and rabbits, and boasts panoramic views and game viewing opportunities ─ ideal for hiking, cycling and horseback riding! 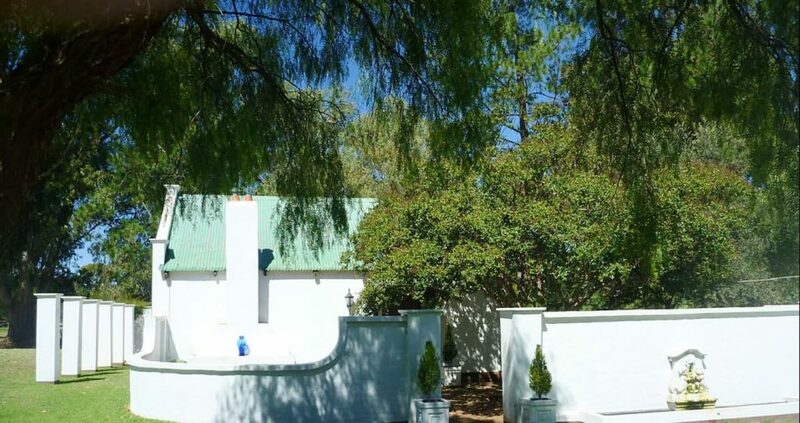 As there is only one self-catering cottage on the premises, it is ideal for a couple looking to spend some quality time alone. Bring your loved one and explore the hills with roaming zebras, black wildebeests, numerous antelope species and a variety of birdlife. Keep an eye out for the resident breeding pair of black eagles! This 2000-acre guest ranch is nestled at the foot of the Magaliesberg Mountain Range, just over an hour’s drive from Johannesburg. There are four self-catering cottages accommodating two to four guests each and it is ideal for a special breakaway to the countryside. Whether you’re here to do nothing at all or in the mood for some adventure activities, Thaba Manzi has got you covered! Put your feet up or go admire the multi-coloured Nguni cattle and Pedi sheep grazing with hartebeests, eland, gemsbuck, nyalas, zebras, blesbuck and giraffes. 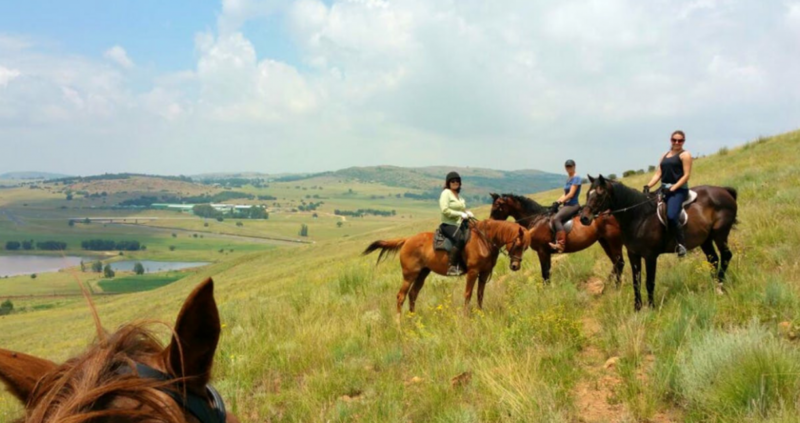 For the more adventurous guests, there are horseback-riding trails, cattle drives, hiking, game viewing, mountain biking (bring your own bikes), rock climbing, swimming and bird watching. Note: This working ranch has dairy cows for fresh milk and it’s available to guests! 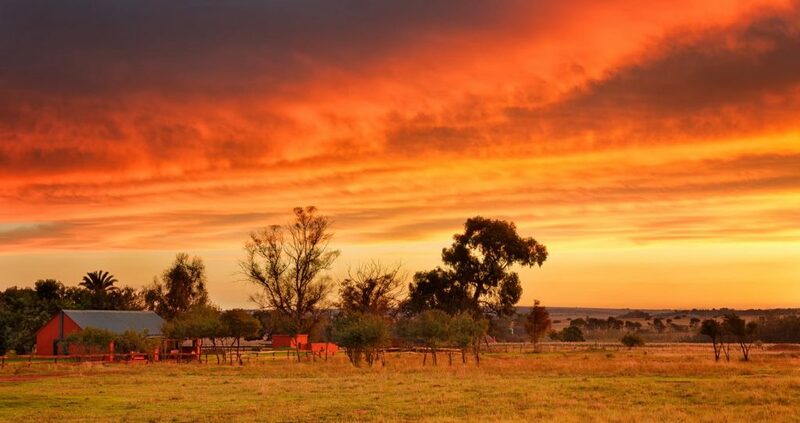 Here they farm with peaches and cattle and offer you a taste of authentic South African country living. Walk or jog around the farm during the day or just lounge in the shade beneath the large trees. 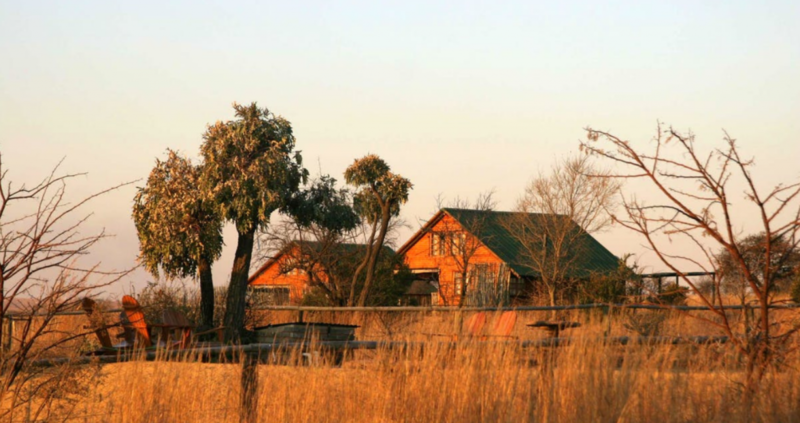 Both cottages are nestled among the trees with a view of maize fields and peach orchards. 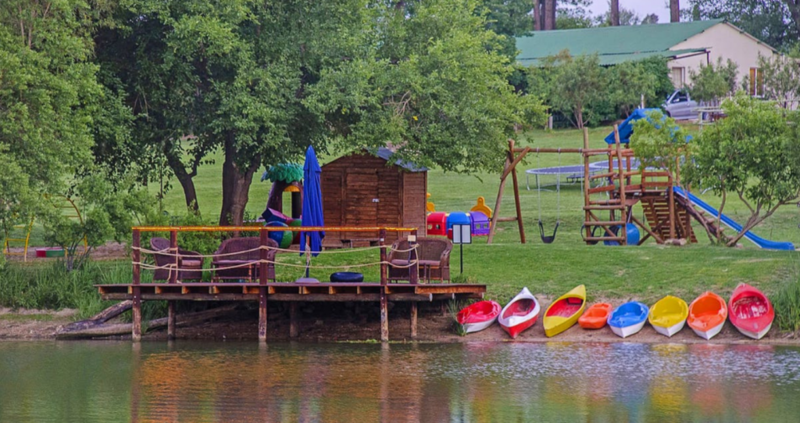 The Rietvlei Nature Reserve is located right next to the farm and ideal for day trips. It boasts zebras, various antelope, black wildebeests, buffalos, white rhinoceroses, cheetahs and a lion camp. The Groenkloof Nature Reserve is just 25 kilometres away and a hotspot for hiking among the antelope species and giraffes. With these lovely options, you have no excuse not to treat your loved ones to a peaceful farm stay. 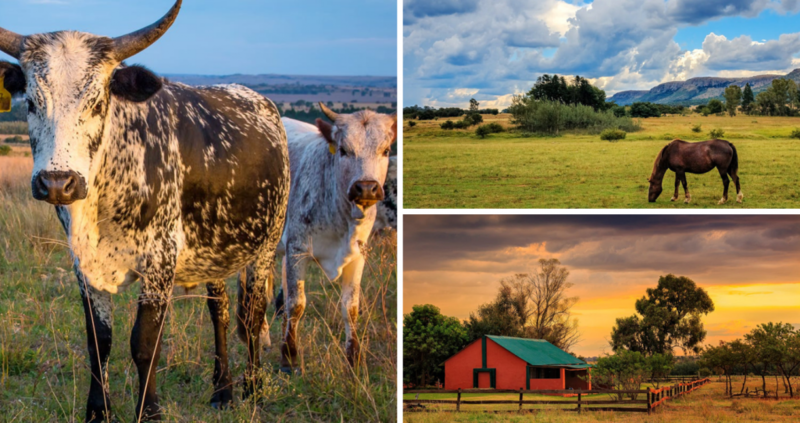 Do you have a favourite farm stay around Gauteng? Let us know in the comments below!